The OLBIN interactive interferometry publication database includes all refereed papers related to optical long baseline interferometry referenced in ADS and aims at being as complete as possible. If you notice that a paper is missing please send the ADS bibcode to the webmaster and any other useful information. 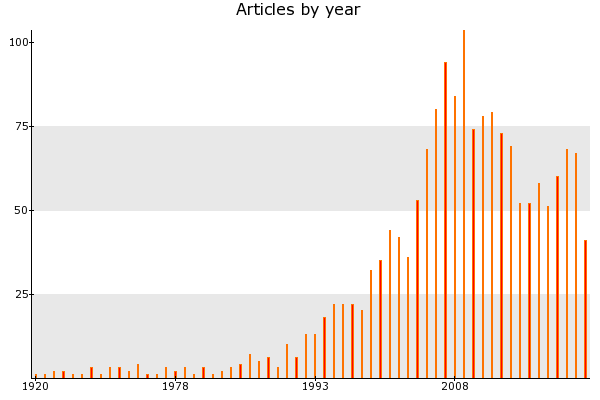 Basic information from ADS (title, list of authors, year of publication) is enriched by tags such as the category of the publication (Astrophysical results, Catalogs, Instrumentation, Review papers, Theory and predictions, Related papers), the name of the interferometer facility, the name of the instrument, the type of object observed, etc. Just click on the "Tag Search" button for the complete list of tags. All the database contents can be downladed as one excel file. If you are interested to be aware of the new publications entered into the database, you can subscribe to the OLBIN publication data base RSS feed. The access to the database can be done either by years or by tag search using the tool bar below. For more options click on the "Tag Search" button. Series of automatic displays that illustrate the current content of the database.